This luxurious, dark but feminine kimono wrap is the perfect convertible robe for your wardrobe. Wear as a wrap top over a tshirt, a lightweight summer jackets over a dress, or as a romantic nighttime robe. Made from heavenly faux silk fabric, these are easy to wear and easy to wash! The pattern on the collar varies from piece to piece. 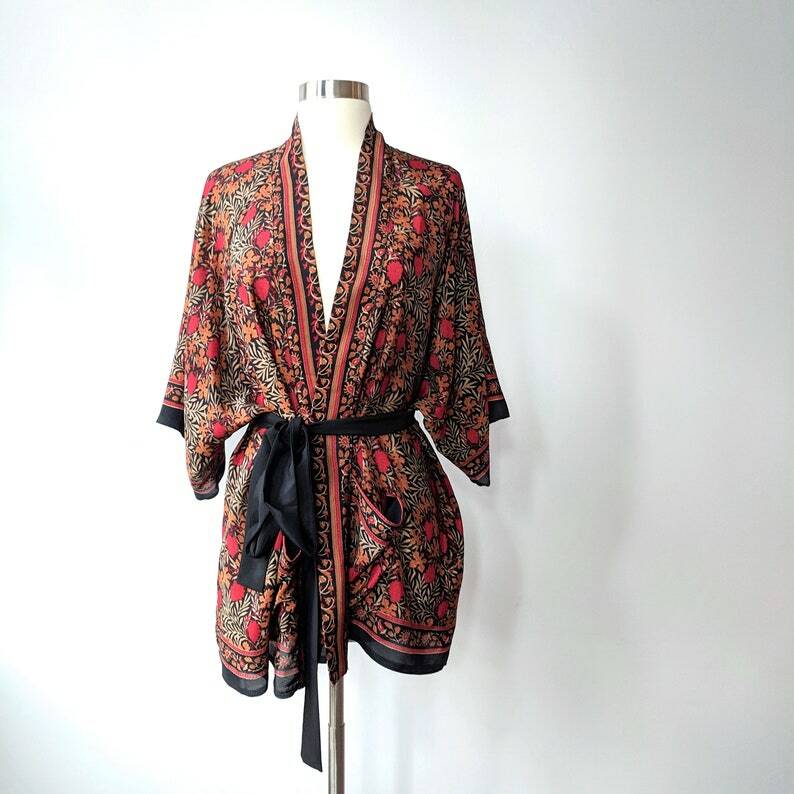 Rest assured the kimono you receive will be beautiful and unique, but if you have your heart set on a specific print placement, please message me before purchasing! You'll see 2 different collar print placements in the listing photographs. 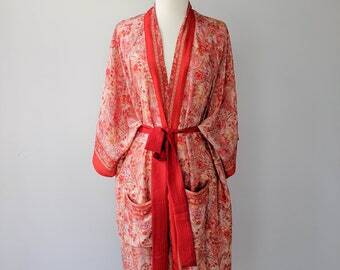 I love this robe! The fabric is perfect -- flowy, lovely color. Even more pretty in person.